Frankenstein: Junji Ito Story Collection Review – AiPT! A brand new monster mash from the king of horror manga. There are few names in horror manga more famous than Junji Ito. Likewise, there are few horror novelists more renowned than Mary Shelley. An Ito adaptation of one of Shelley’s works, then, sounds like a recipe for greatness. 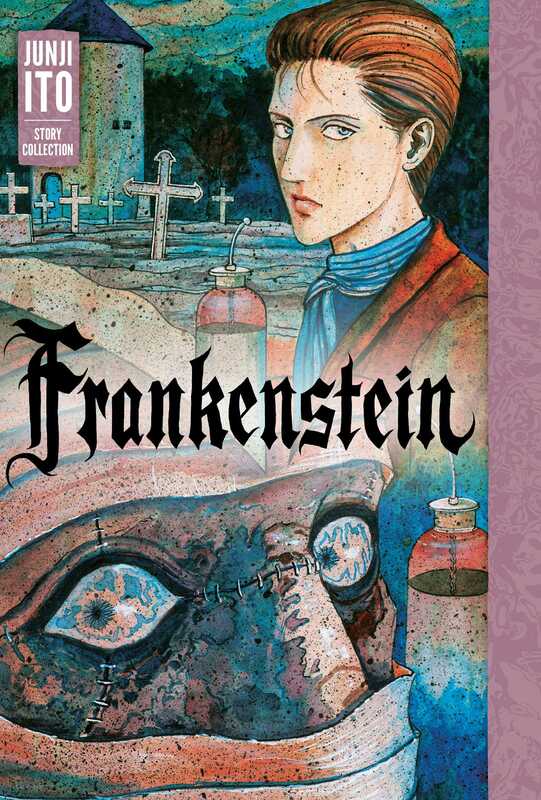 Frankenstein: Junji Ito Story Collection, out this week from Viz Media, features an adaptation of the titular novel, as well as a number of original short stories. Most of these revolve around a school boy named Oshikiri, but they don’t all intertwine–at least, not immediately. There are alternate universes at play, delivering a much different sort of horror than present in Frankenstein. This is certainly a unique collection, but is it good? The titular story in this collection is fantastic. Ito delivers what is essentially a masterclass in creating a successful comic book adaptation of a work from another medium. All the moody atmosphere, intense loathing, body horror, and themes of godhood from the original novel are present, but delivered in ways that take advantage of manga’s visual nature. Frankenstein’s monster is especially stunning thanks to Ito’s reinterpretation of the character, which hauntingly conveys its origins of literally being stitched together from pieces of dead flesh. Unfortunately, the Oshikiri stories in this collection aren’t as consistently good. There are a number of great ideas and visuals in them (such as people dying by over-elongation of their limbs, or by being absorbed into walls), but they don’t always gel together. To be fair, this is partially by design. The stories star different versions of Oshikiri from alternate universes, so naturally they won’t all fit together perfectly. With that said, the individual stories frequently feel too incomplete to stand alone outside of their loose relationships to one another. There are a number of dangling plot threads that, rather than generating a sense of anxiety in the reader by being unresolved, just leave one feeling disappointed. There are also a few stories at the end of the volume that have nothing to do with Frankenstein or Oshikiri. These are the most incomplete-feeling tales in the whole collection, as they bring up some great ideas just to end almost immediately afterward. “The Hell of the Doll Funeral” is one such disappointing story with a great premise. It stars a couple whose daughter begins gradually transforming into a doll, until she is incapable of speech or movement. The parents debate whether or not she is still alive, and what the best next step would be if she is indeed dead. It’s a very cool idea, but unfortunately the story ends before Ito can actually do much of anything with it. There are also a pair of stories about Ito’s mother’s dog that lack both horror and charm. Sadly, fans of Junji Ito’s Cat Diary: Yon & Mu won’t find any of the humor that made the author’s past pet stories so enjoyable. Overall, Frankenstein: Junji Ito Story Collection’s quality level varies about as much as its contents. The titular adaptation is fantastic on all fronts, but the stories that follow it are much less consistent. The Oshikiri tales and “The Hell of the Doll Funeral” both feature great ideas, but their delivery is half-baked. The pet stories, meanwhile, feel tacked on and don’t match the tone or level of creativity found in the rest of the book. I would recommend this collection because Ito is still good even when he’s off his game, but it’s not among his greatest works. The titular story is fantastic, but the remainder of the collection is wildly inconsistent. All in all, this is a good but still somewhat disappointing book.